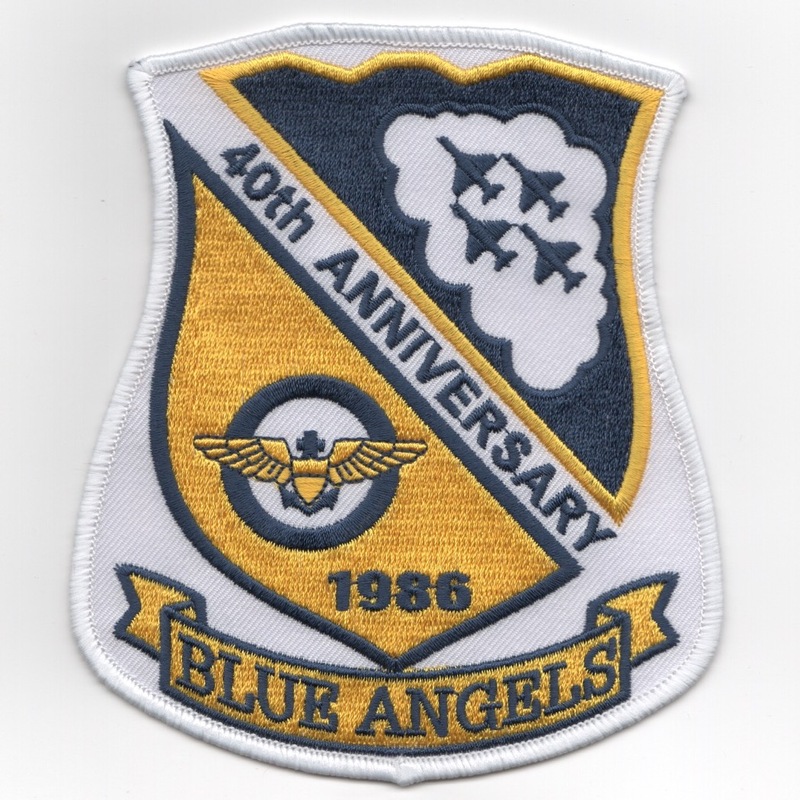 This is the 40th Anniversary patch for the US Navy's elite demonstration team, the Blue Angels. Based out of NAS Pensacola, FL, the Blue Angels are the premiere Demonstration Team in existence today (althought they are all pretty damn good!). This patch commemorates 40 years of exhibitions performed by the elite Naval Aviators and has the A-4 Skyhawk planform in the upper right corner with the year 1986. This patch does not have velcro attached. This is the 50th Anniversary patch for the US Navy's elite demonstration team, the Blue Angels. Based out of NAS Pensacola, FL, the Blue Angels are the premiere Demonstration Team in existence today (althought they are all pretty damn good!). This patch commemorates 50 years of exhibitions performed by the elite Naval Aviators and has the F-18 Hornet planform in the upper right corner with the year 1996. This patch does not have velcro attached. 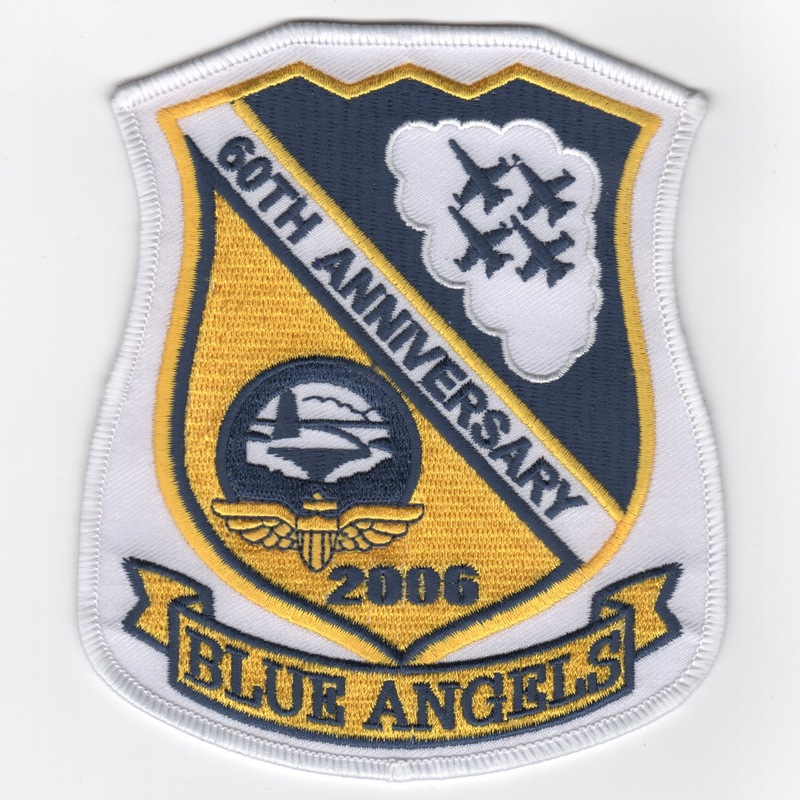 This is the 60th Anniversary patch for the US Navy's elite demonstration team, the Blue Angels. Based out of NAS Pensacola, FL, the Blue Angels are the premiere Demonstration Team in existence today (althought they are all pretty damn good!). This patch commemorates 60 years of exhibitions performed by the elite Naval Aviators and has the F-18 Hornet planform in the upper right corner with the year 2006. This patch does not have velcro attached. This is the 70th Anniversary patch for the US Navy's elite demonstration team, the Blue Angels. Based out of NAS Pensacola, FL, the Blue Angels are the premiere Demonstration Team in existence today (althought they are all pretty damn good!). This patch commemorates 70 years of exhibitions performed by the elite Naval Aviators and has the F-18 Hornet planform in the upper right corner with the year 2016. This patch does not have velcro attached. 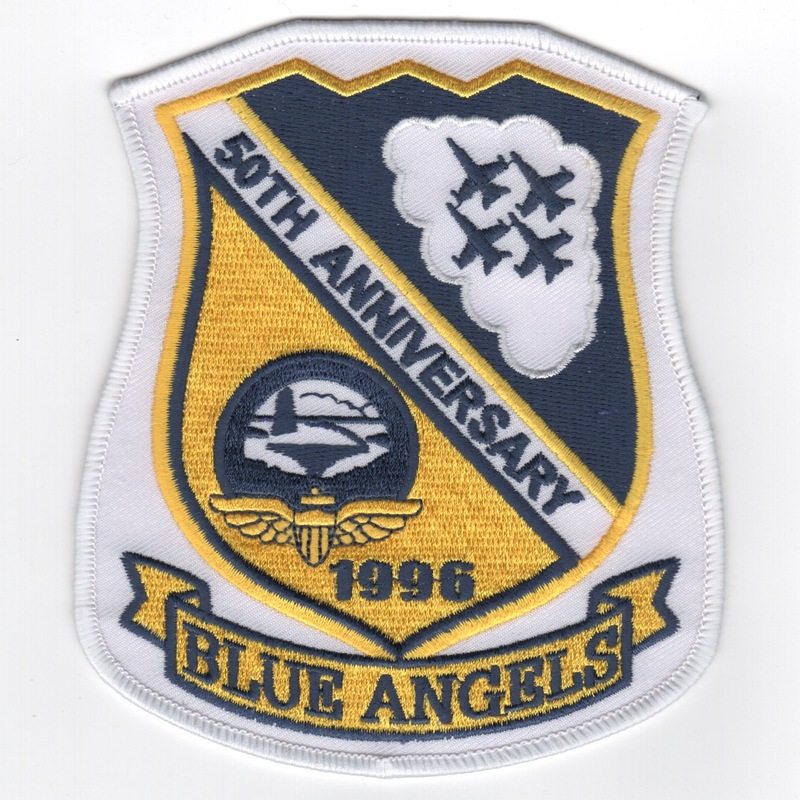 Use this link to get a set of all 4 of the Blue Angel Anniversary patches at a discount. This is the normal size Blue Angel squadron patch. They are home-based at NAS Pensacola, but fly out of NAS El Centro, CA during the winter season for their airshow "workups". 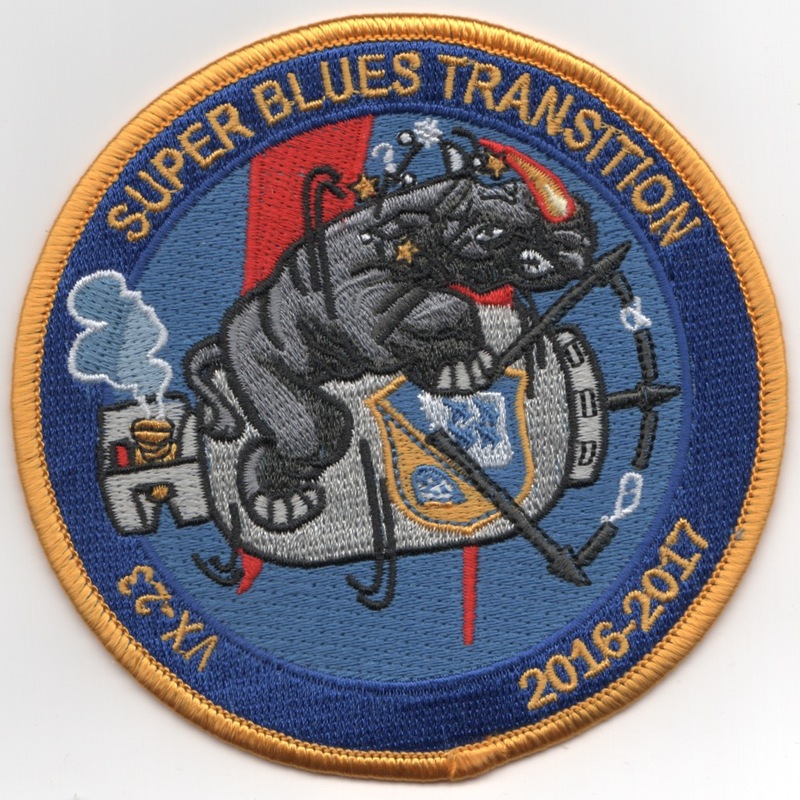 This is the medium-size Blue Angel squadron patch. They are home-based at NAS Pensacola, but fly out of NAS El Centro, CA during the winter season for their airshow "workups". This is the small-size Blue Angel squadron patch. They are home-based at NAS Pensacola, but fly out of NAS El Centro, CA during the winter season for their airshow "workups". This is the Blue Angels A/C No. 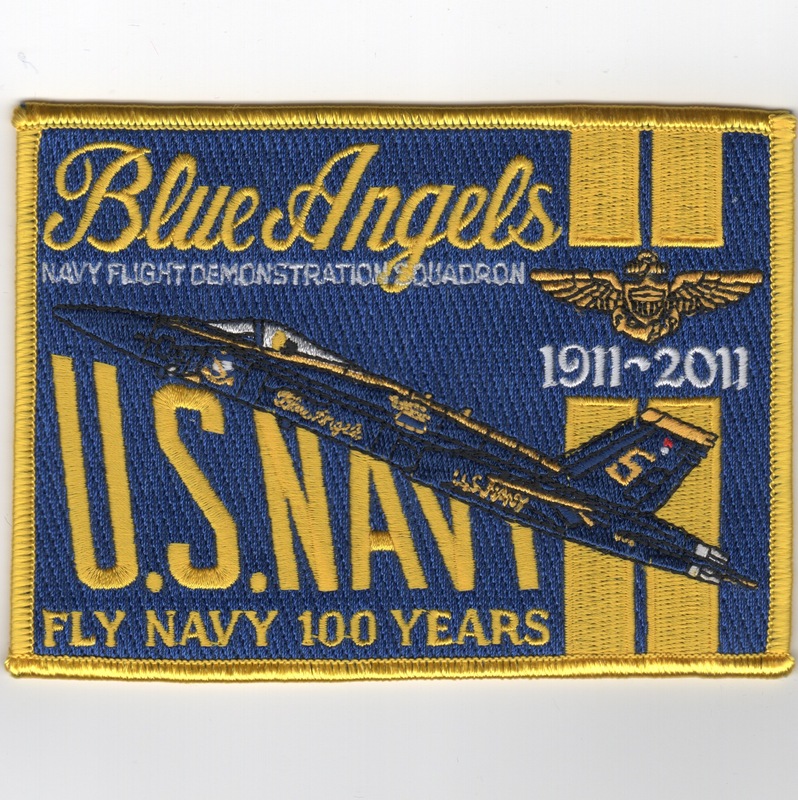 1 patch commemorating 100 years of US Naval Aviation from 1911-2011. This is the Blue Angels A/C No. 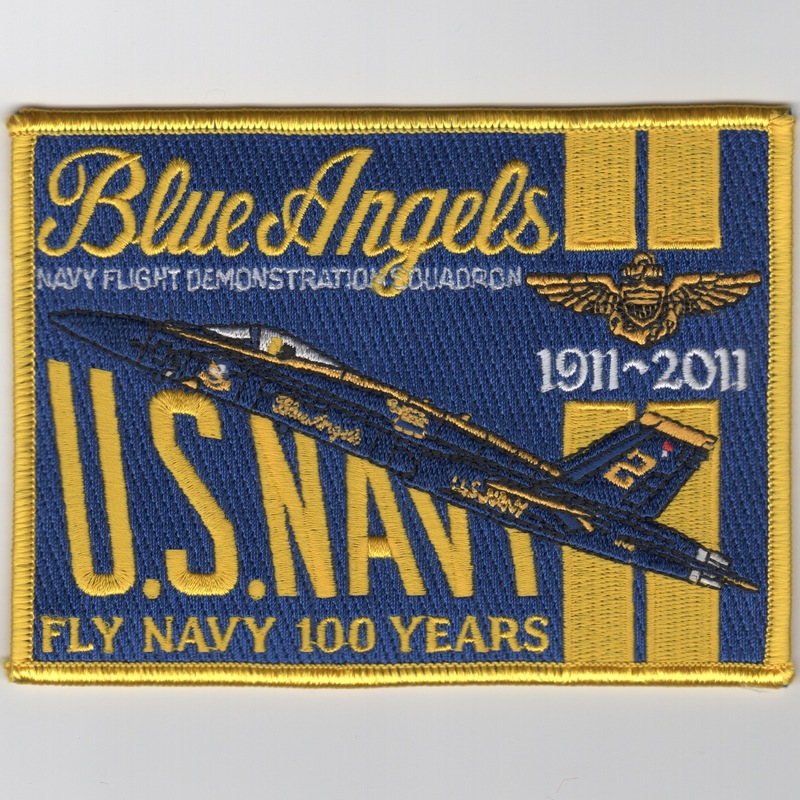 2 patch commemorating 100 years of US Naval Aviation from 1911-2011. This is the Blue Angels A/C No. 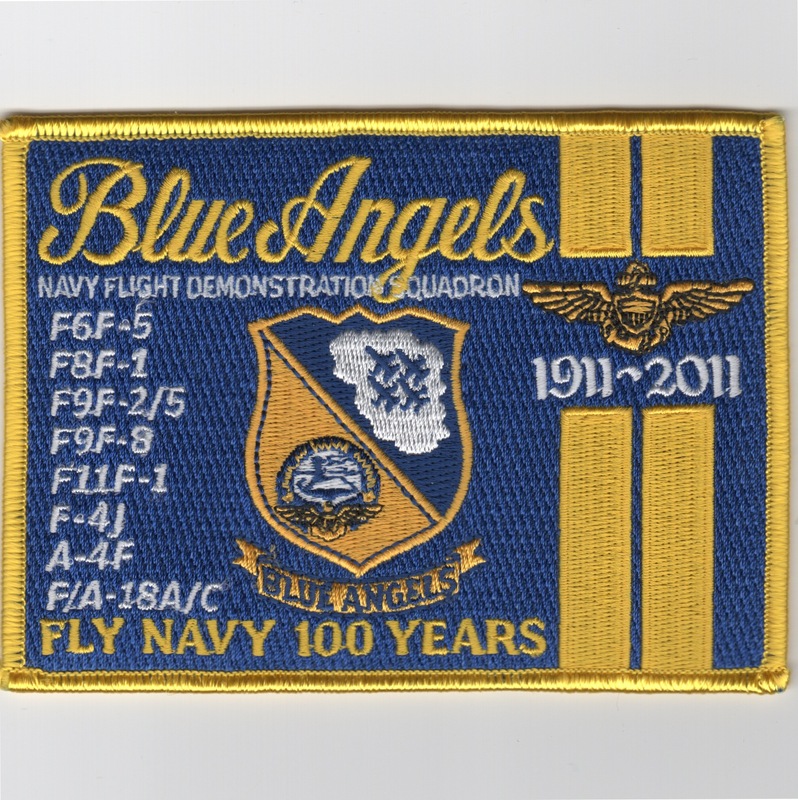 3 patch commemorating 100 years of US Naval Aviation from 1911-2011. This is the Blue Angels A/C No. 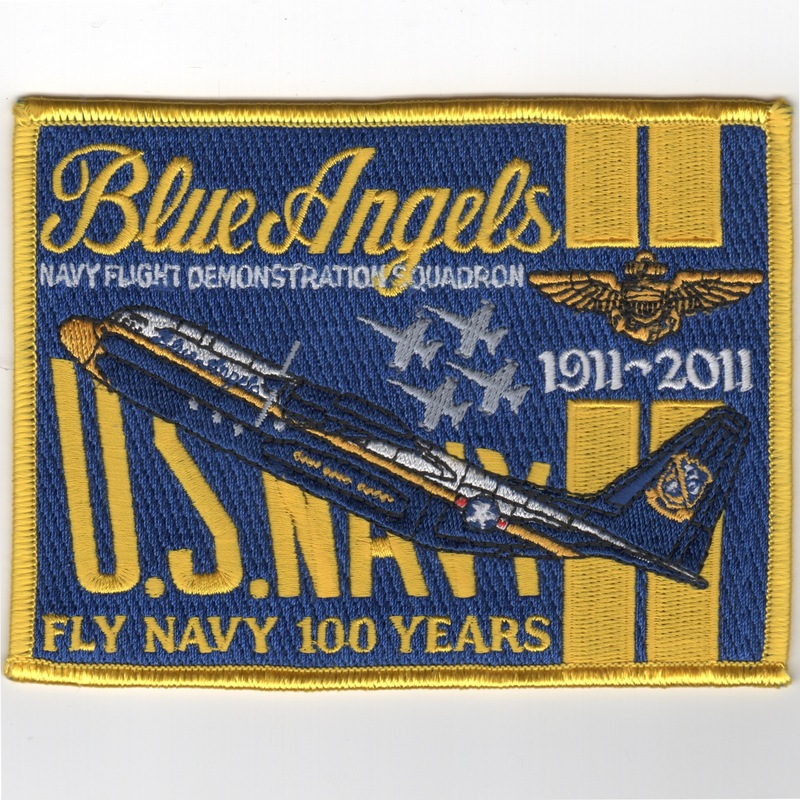 4 patch commemorating 100 years of US Naval Aviation from 1911-2011. This is the Blue Angels A/C No. 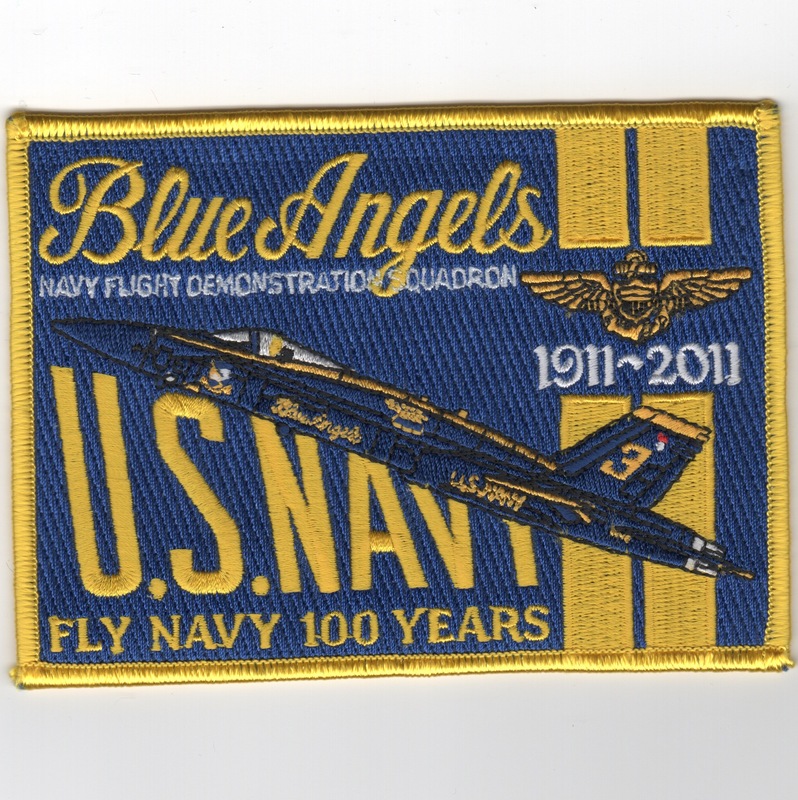 5 patch commemorating 100 years of US Naval Aviation from 1911-2011. This is the Blue Angels A/C No. 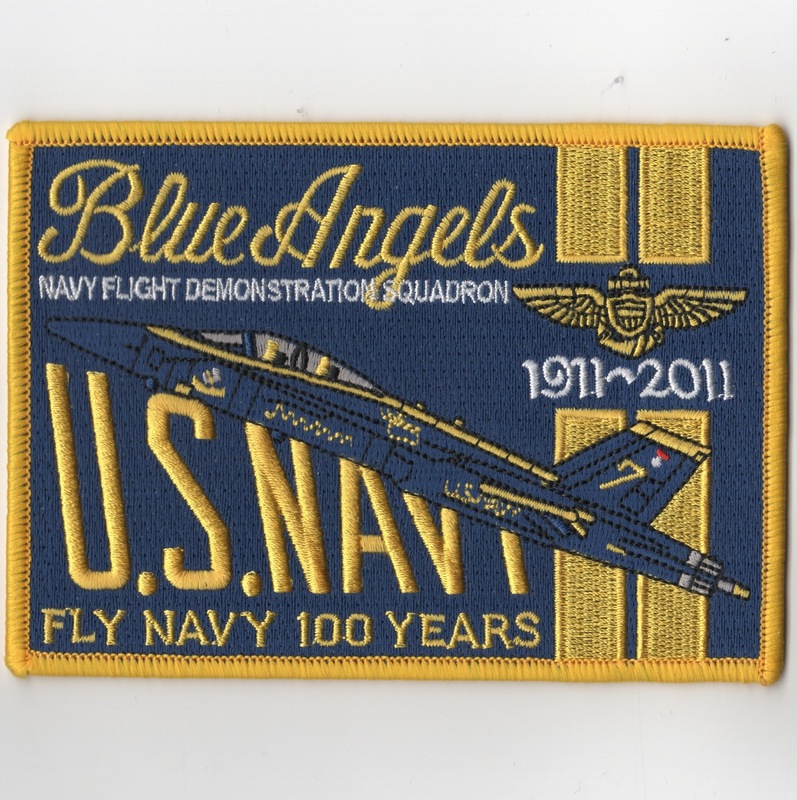 6 patch commemorating 100 years of US Naval Aviation from 1911-2011. This is the Blue Angels A/C No. 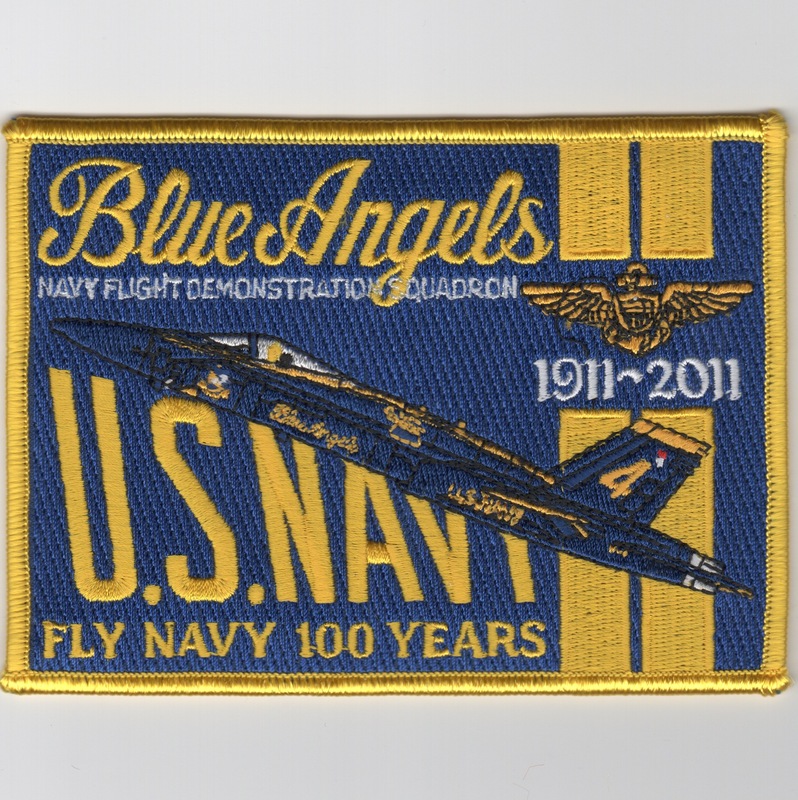 7 patch commemorating 100 years of US Naval Aviation from 1911-2011. This is the Blue Angels 'Fat Albert' patch commemorating 100 years of US Naval Aviation from 1911-2011. 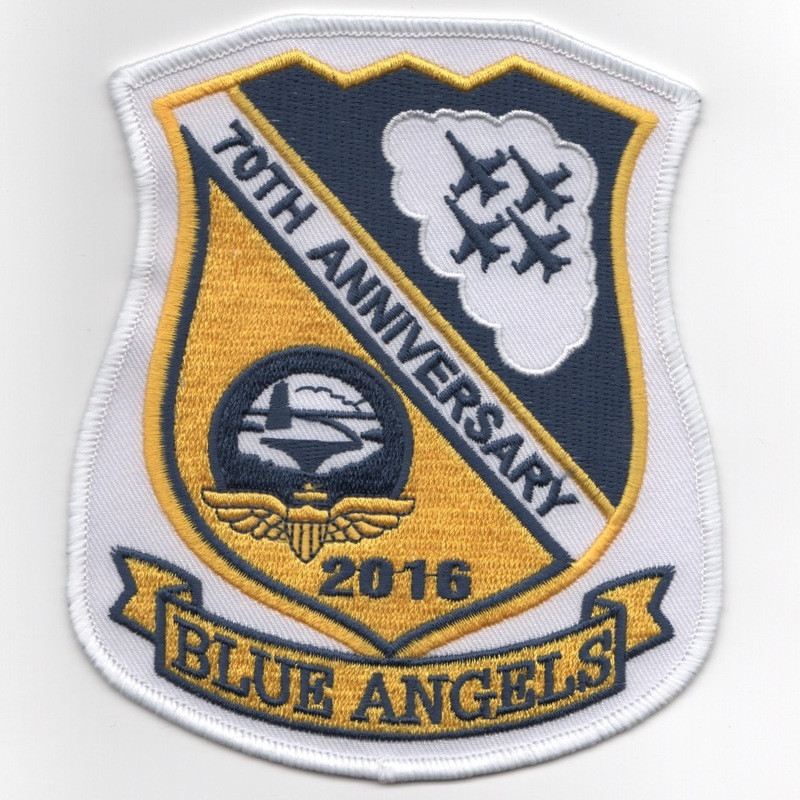 This is the Blue Angels '100th Anniversary' patch commemorating 100 years of US Naval Aviation from 1911-2011. 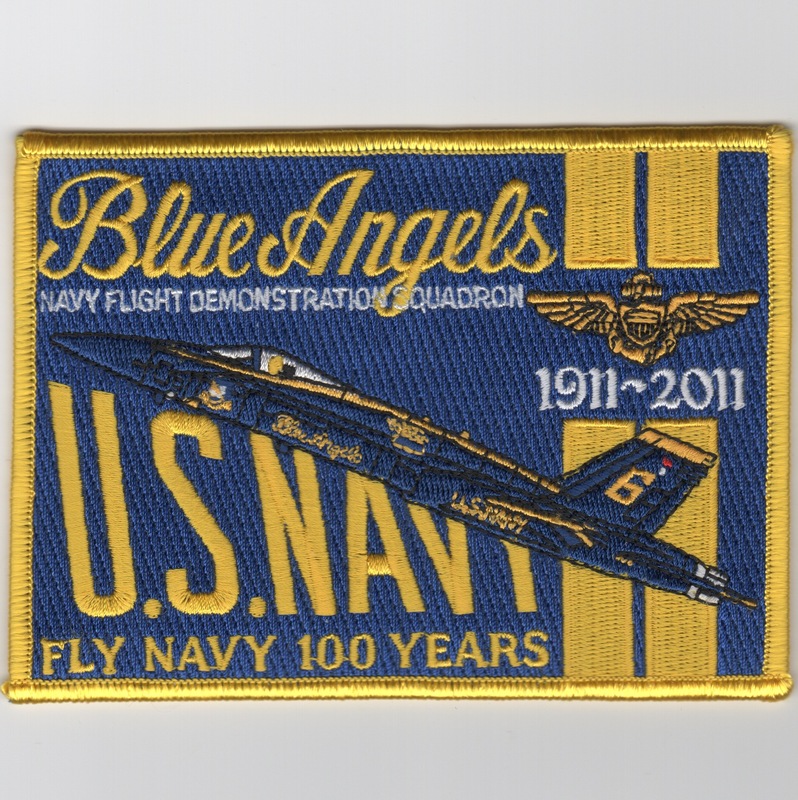 By ordering here, you are ordering the entire set of 9 commemorative 100th Anniversary patches created by/for the Blue Angels. Homepage | Order Blue Angel Patches!